Close your eyes and just think about the word “Serengeti” – what do you come up with? Images of savannah. The sound of lions and wind in the grass. Sun. Never ending sky. Idyllic, primal Africa. 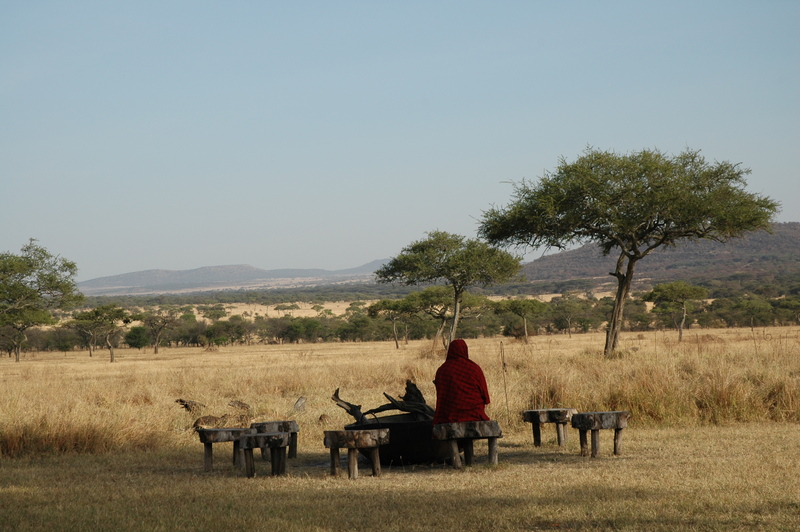 The Maasai named the area of vast grasslands between Tanzania and Kenya “serengit”, or “endless plains” in the Maa language. For generations they hunted, herded, and lived on this land that is now home to a never-ending flow of tan and green Land Cruisers. For generations foreigners have been coming here to find something that is distinctly human – the romance of being at the mercy of nature and a sense of smallness. Of insignificance. Here no one is the king. Death can lurk in any corner. In any minute. As I watch the sun set over the plains, I feel the eyes staring back me from the grass. I can hear the life happening in the trees around me and miles away. We sit down to dinner and allow the china and crystal to distract us from what is going on all around us in these endless plains. It is not just dinnertime for us. All Serengeti camps light fires in the evening. This creates a certain sense of security, but as I zip up my tent in the dark, knowing that nothing lies between me and wilderness but a canvas sheet, I can’t help but feel a little more alive than I did when I left my hotel this morning. I can’t help but feel small. I have a love-hate relationship with taking public transport while traveling. I believe it to be one of the best ways to get to know a place and a people, but it can also be one of the most exhausting travel experiences. Here is a perfect example. 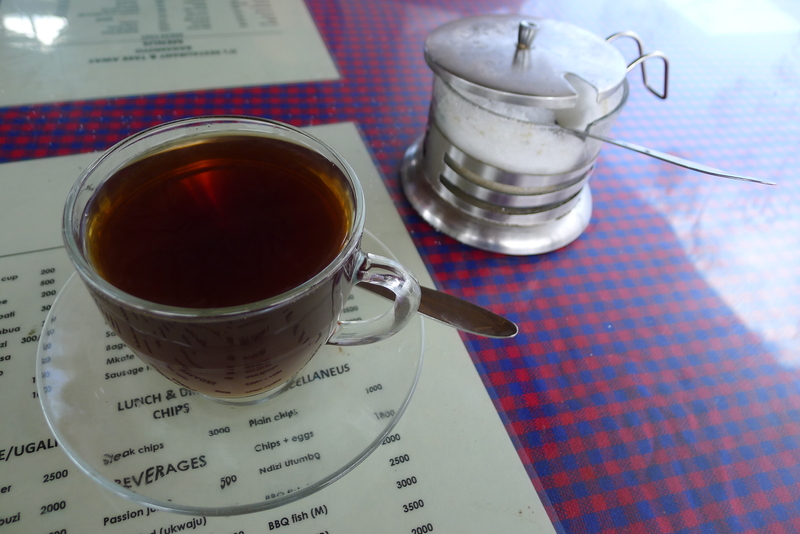 Imagine the excitement of going somewhere totally new – in this case a small town with UNESCO Heritage Site ruins on the east African coast – that giddy feeling that keeps you up until midnight packing and then wakes you up at 4am to get on the road. That was me on our way to Kiswani. I was pumped, stoked, ready to go. So much so that when our taxi pulled into the Ubungo bus stand at 5.15am, I hardly noticed the chaos unfolding around me. I was oblivious, thinking this was a totally controllable situation just like any other I had encountered in South Asia. Then I had the sudden realization that I had been swallowed whole. Hundreds of buses were everywhere, only inches apart and slowly creeping in one direction or another. People were everywhere. Travelers with bags and babies in their arms and vendors with bags of sliced white bread balancing on their heads swarmed around like a tsunami hitting the shore. 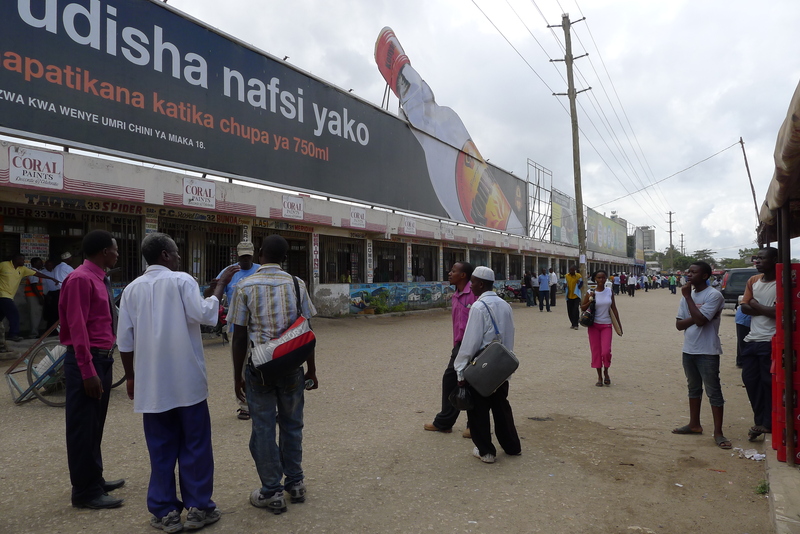 Swahili, sweat and bus exhaust created a cloud in the air so thick that you could choke on it. Rolling out of the bus stand into rush hour. Somehow (ok, I know how – it was thanks to our taxi driver’s beautiful maneuvering), we ended up at our bus. After a spat over whether to pay for luggage or not and then another over whether our bus was going to right place or not, we found our places. We snuggled into the worn velour seats, thankful that we hadn’t ended up in or behind the row sitting unbolted, directly on the bus floor. I squished against the dirty window so that my husband could get one and a half of his shoulder blades onto the seatback obviously made for someone only 10” wide. He offered me a sip of water to wash down the gallons of inhaled bus exhaust and I cringed, already dreading the 7 hours between now and the only bathroom break in the trip’s itinerary. Determined to make the most the experience, I crammed open the window, stuck my head out like a puppy dog and popped in an earphone to listen to my favorite NPR podcast. 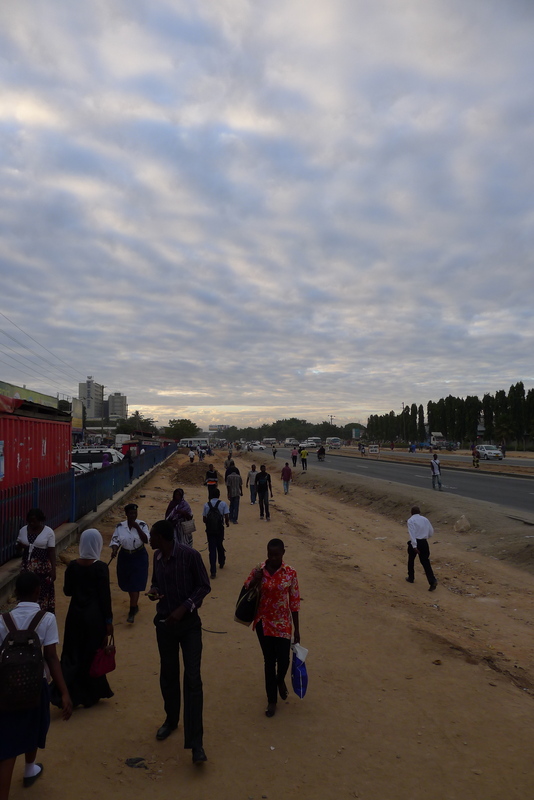 An hour later we rolled out of the parking lot and crawled through Dar’s morning rush hour. 3 hours and 2 stops later, we pulled out of another parking lot and at last entered territory that didn’t look familiar. “Finally!” I thought. We had to be on our way. I closed my eyes, confident that we’d be there in a snap. I was certain that we were almost there when I heard a, “You have got to be kidding me!” to my right. (By this point my husband was at his wits’ end, having been caressed by countless bums and bellies, sticky with sweat and swinging bags behind at eye level as they made their way through the aisle) My eyes flew open and I could not believe what I saw. A wall of bus offices welcomed us as we turned left into a parking lot. Bus offices we had visited the day before to buy tickets. We drove into the empty parking lot, so different from the one we had left 4 hours previous and yet still the exact same. 4 hours into my first bus ride in Tanzania and I had gone nowhere. 4 hours of crammed, sweaty, dehydrated morning and we back to where we had begun. I pulled myself out of the seat and down the aisle. We pulled our bags out of the bus. As we hailed a taxi I laughed. Friends in Senegal had told me that if nothing else, sub-Saharan Africa would teach you the value of patience. But patience is only part of it. Sub-Saharan Africa will teach you the beauty of having a plan B. Back at the bus stand.